As I thought about Mardi Gras this weekend, I started fantasizing about moving back to Louisiana. Then, I realized that we just bought a house, so that’s not too likely. Also, I can’t have the same job there that I can have here. It sort of put a damper on my fantasies. 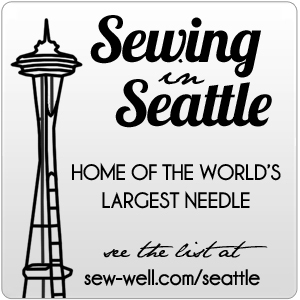 So, I guess we’ll stay in the Emerald City a bit longer. Maybe I can get the condo in the French Quarter that I’ve been dreaming of, and then take frequent trips back. It won’t be quite the same as living there, but it would be the next best thing. To celebrate Mardi Gras (a day early), my mom and I had lunch at Marcella’s in Pioneer Square yesterday. Crawfish boudin, pork boudin, and white beans and rice. So delicious. Unlimited access to that kind of food alone is almost worth giving up on my perfect little home and job for. Almost. 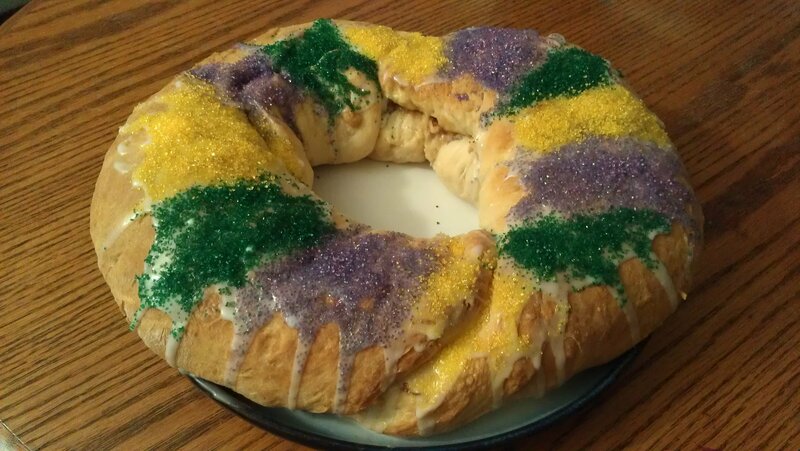 Since finding a king cake is nearly impossible around here, I went ahead and made my own last night. Next year, I’m either going to be in New Orleans for Mardi Gras or I’m going to throw a big Mardi Gras party at my new house. Maybe both. I need more Louisiana in my life.